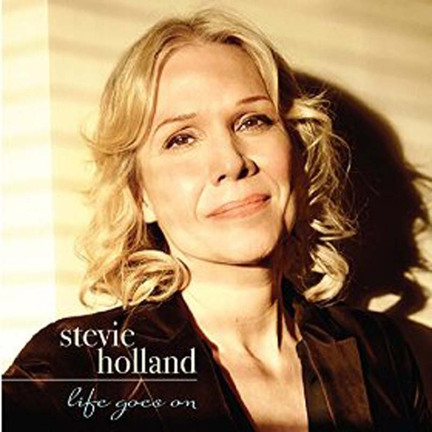 Amid the ever-expanding sea of jazz vocalists, there’s nothing strikingly distinctive about Stevie Holland’s voice, and yet her assets are considerable: beautiful clarity of tone, immaculate phrasing and an excellent sense of time. She makes the most of what she’s got, surrounding herself with solid session mates including pianist Randy Ingram, bassist Peter Brendler, drummer Jeff Davis and trumpeter Nicholas Payton. And in Gary William Friedman, she’s found an arranger who knows how to ideally frame her with unfussy, liquid charts. Shaping lyrics to Friedman’s music, she’s also a deft lyricist. As for the originals, “Tomorrow’s Looking Brighter Today” is a Frishberg-esque charmer, while the title track suggests the quiet grandeur of Michel Legrand. Best, though, is the Payton-propelled “Never,” an ode to soulmate satisfaction that, in its deceptive simplicity, is tremendously moving.